You must remember my Ubuntu 14.10 review from just a few days back. You must. It was a monumental, unexpected failure that soured my weekend and made me feel like a fool. Which is why I hurried with the Kubuntu testing, to try to restore my sanity. In fact, we will be having two reviews. 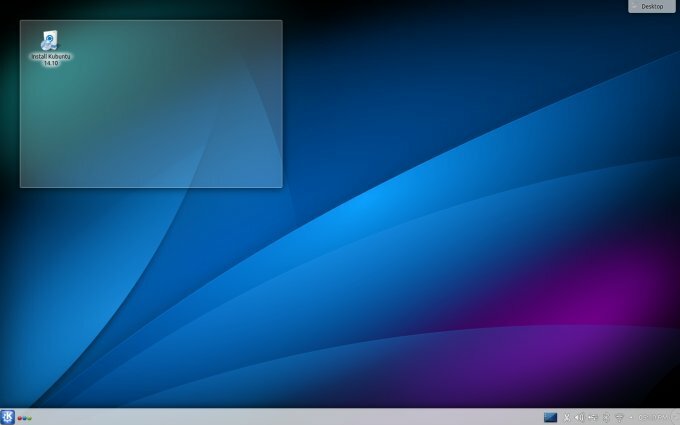 A standard one, featuring the KDE4 desktop framework, and then one with the brand new Plasma 5 tech preview, which should be a total blast, given my previous experience. Our test box is an old T61 machine, with aging Intel graphics, but decent performance due to a couple of cores, 2GB RAM and two SSD. 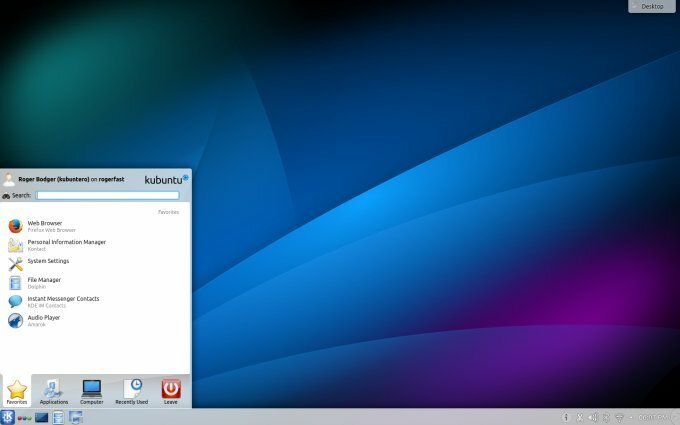 It did not cooperate well with Ubuntu, after a hundred splendid distro reviews in the past years, so let's see how it fared with Kubuntu. Anyhow, I powered Kubuntu Utopic from a USB thumb drive, and it came up fine into a familiar, slightly boring and yet ever so slightly polished and refined KDE desktop that feels pleasant and inviting and still somewhat short of its full potential. 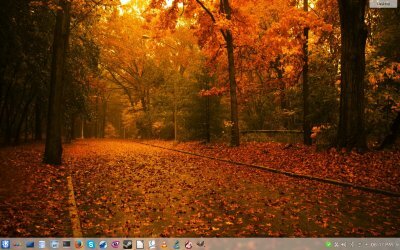 What I did first was start fiddling with KSnapshot and taking screenshots of my work environment to see whether I could replicate the Ubuntu bug, where all the attempts to capture my desktop ended up in a colossal foobar. The short answer is, yes I could. BUT. The screenshot functionality only works well if you have desktop effects enabled. 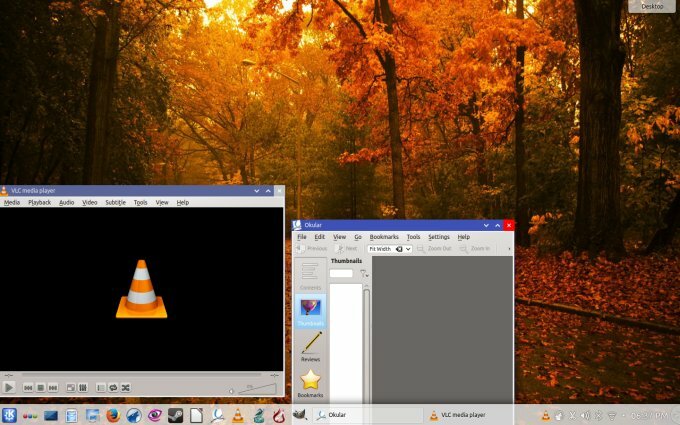 If you turn them off, then KSnapshot will retain older images in its buffer and not properly capture the real-time desktop activity. Now that I have seen this happen twice, I can confirm, this is some weird bug with the graphics stack, probably drivers and X Windows, and it feels like developers will soon be striking this workhorse off its beta testing list, because it is apparently too old. 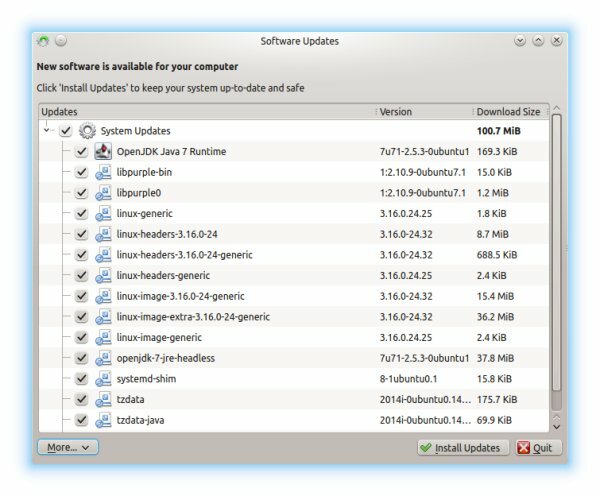 This is a worrying trend, and it started with Unity 3D, Unity 2D, Gnome Fallback, all the other would-be options for those with ancient hardware and legacy systems, and now, this system is at peril of being made obsolete by the open-source community, whereas it still remains loyally supported by Windows. This is annoying. This also most likely means that my upcoming Xubuntu and Mint tests will probably be, for the lack of a better word, imperfect. Another thing that annoys me is how difficult it is to debug this. There are no worthy messages, no logs, no exceptions, no reasonable way to approach the problem and try to fix it, or at least, work around it. Devs, if any one of you happens to read this, let me know, should you care. If not, well, that's a message, too. Now, compared to Trusty, the changes are fairly minimal. You can see some fresh paint here and there, but overall, this release is there so that you can wait for the next one and so on until the future LTS is released. Beyond that, the hardware behaved well, including Bluetooth, Wireless both in the 2.4GHz and 5GHz spectrum, Samba sharing, and such. 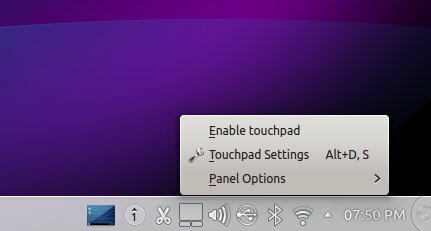 Touchpad is disabled to clicks by default, which is awesome, and you have an applet sitting in the system area, which is also awesome. Finally. 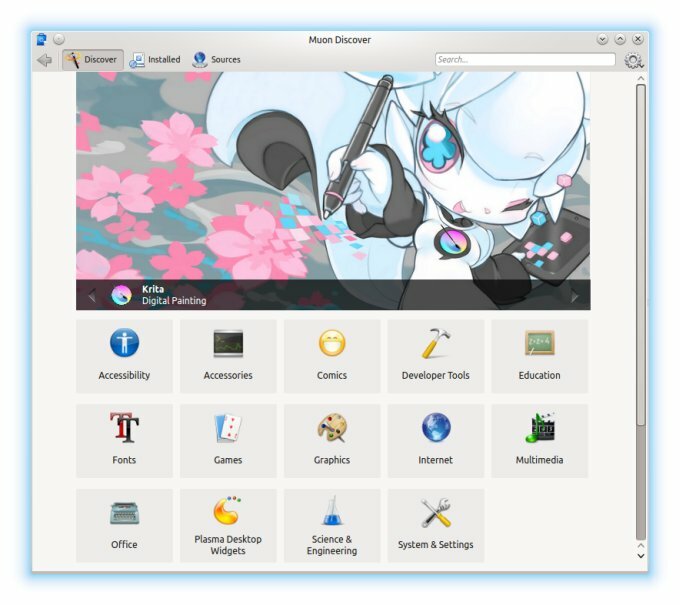 It took, what ten-fifteen years, for this to become a reality in mainstream KDE. But I like it very much. The thing that really made me give up on Ubuntu Utopic was not the graphics glitch on its own. It was that plus the fact the installer could not format the openSUSE partition and replace the existing filesystem. 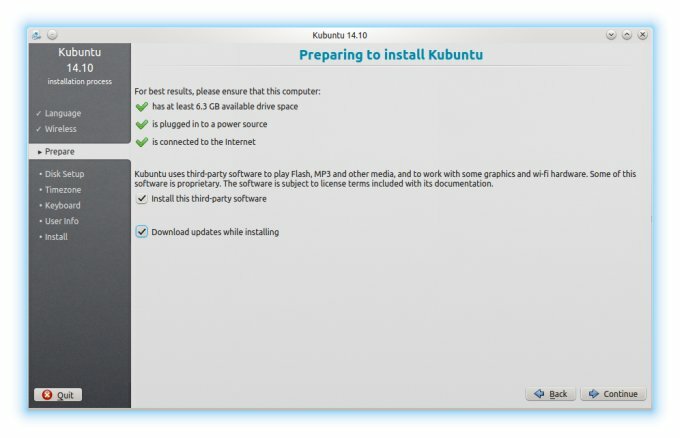 With Kubuntu, I did not face this issue, so there's another bug that is entirely unique to Ubuntu. To be on the safe side, I marked the openSUSE partition first, then tried a few more, ruining the existing quad-boot setup. But it worked fine. We will be using the now empty openSUSE partition for a non-Ubuntu distro review in the coming days. Hopefully. Now that things are starting to fail left and right, I am kind of leery of what might come to bear. Gods of the Internet give me strength! The installer has been polished a tiny bit, which is good, although the balance between the left and right column, as well as the text size can be improved. One weird thing that popped up was a prompt for additional language support. For English? Weird. Maybe some packages are missing in the live media? Other than that, there were no issues. The installation took about 15 minutes to complete. The bootloader setup also worked fine, and I made Kubuntu 14.10 the designated driver for the team. In other words, I planted its bootloader into the MBR. So, now we have this happy shiny system installed. Unicorns, yippie! Well, I do have to admit that it looks quite reasonable. Tiny fixes, but they provide the necessary extra of smooth and suave. Which does not mean we won't be pimping up Kubuntu to our liking, but for now, it's pretty decent. One big problem with Kubuntu is that it tries very hard to be boring by default. This is evident in the default application set, which, while perfectly functional, is not really exciting. You have Firefox, KMail, LibreOffice, Okular, GwenView, and a few other programs, but little else besides. Somewhat dull. 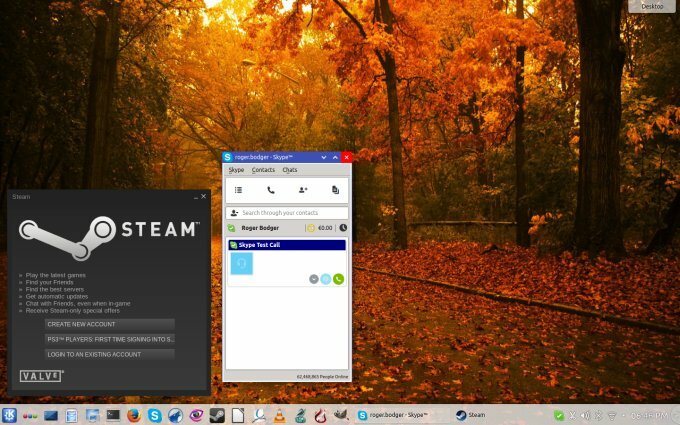 You can install Steam without any big problems. Finally. Skype is there, too, but you must enable Canonical Partners in the software sources first. 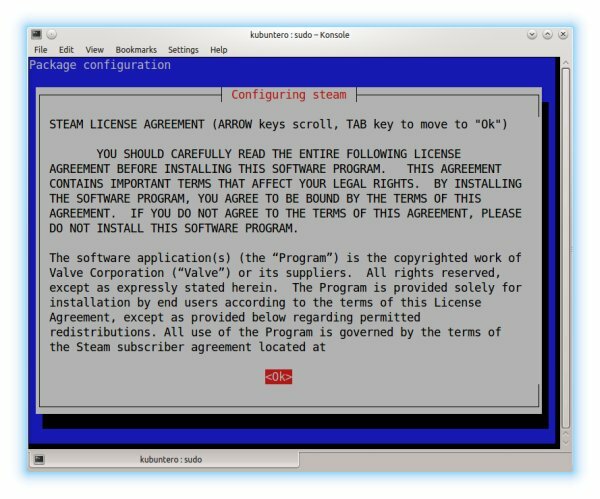 I read about the horrors of OpenGL on the recent release of Ubuntu, and how it killed Steam. Not in my case, although the problems with the graphical stack are more than evident, as you've seen before. Muon (or should I call it Muon Discover) is OK. Not the most exciting or the prettiest and surely not the fastest beast on the package management market, but it's also improved a little since Trusty Thingie, which is commendable. I like small, steady and safe incremental changes. Unlike slow changes that ruin everything, like the graphics crap. Speaking of package management, not everything was fine. Again, like Ubuntu, the KDE version of Unicorn failed by offering a crippled local repo mirror, which had no universe and multiverse content. This is terrible. I had to change to a different server before I was able to actually download and install software. Electrocution seems to be the right solution for this kind of problem. Software updates worked fine, but apart from some security stuff, no visible bugs or problems were resolved. The issues that annoy me remain there, like a nice big termite hive. Still, things kind of worked. If you have ticked the right boxes during the installation process, you will have the right kind of plugins to play music, videos and Flash. If not, you will get a prompt that will take you to a happy place. Anyhow, the playback of all the interesting stuff worked fine. Kubuntu 14.10 Utopic Unicorn did surprise me with its overall utilization. The CPU was relatively quiet, except when doing intense graphical stuff. But there were no stalls, weird spikes or any sluggishness. Pretty slick and responsive. 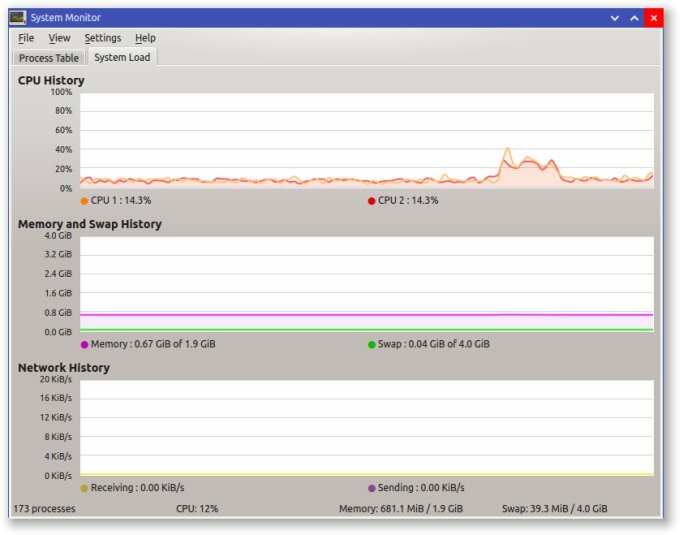 Memory usage hovered around 650MB on idle. My hunch tells me that Unicorn is a tad more user friendly than its predecessors. Commendable. Worked fine. The system was stable and there were no application crashes. This does not negate the stuff we've seen before, but at least you will have a sane if slightly crippled baseline to work with. Not bad overall. Suspend & resume worked without a hitch, fast and smooth. Maybe there's hope for the aging T61 still. They did not really work. You can toggle them on and off, but if you want fancy stuff like the Cube, Sphere and other posh 3D magic, it's not going to happen. You will be left wondering why. 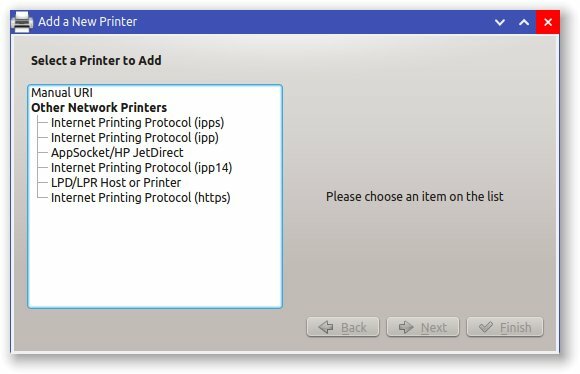 Remember how I complained about printing in my fourth part on Windows to Linux migration, and then gave you a complete solution in my CentOS guide? 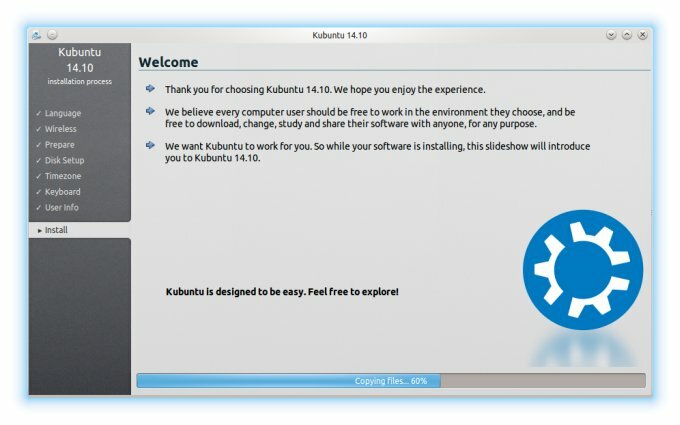 Well, apparently, Kubuntu solves the issue by sucking more and not even giving you an option to do any Samba printing. Why is it so difficult to include 35KB worth of binaries needed for this? As you may have guessed from some of the screenshots above, I started playing with new themes, window decorations and wallpapers. At least KDE lets you find and download all these from within its system menu, in a slick, native manner. 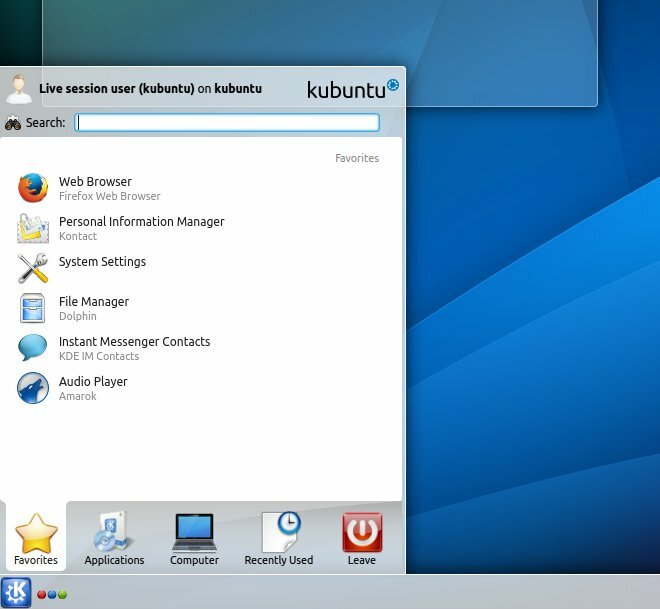 Kubuntu has one definite advantage. It's predictable. Predictable in the sense that it will never give you a fully satisfying experience out of the box, and it will do its best to be controversial, bi-polar and restrained by default. You get a very good and modern system, but then it's almost purposefully crippled by boredom, a conservative choice of programs and missing functionality. Why, oh why. It could be such a shiny star. Utopic Unicorn is a pretty solid release, but it does suffer from some alarming issues. The graphics stack, first and foremost. 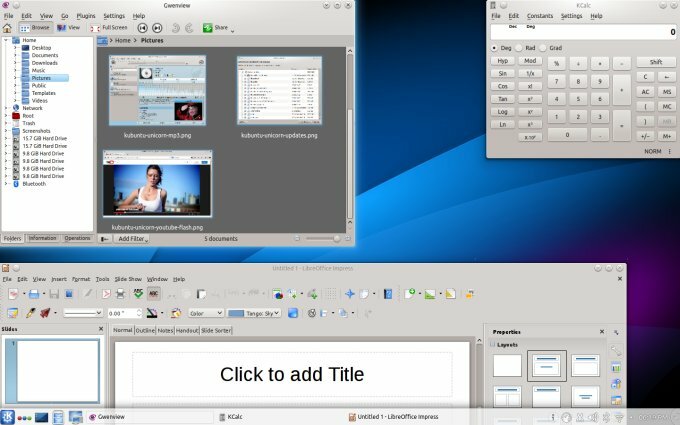 Desktop effects are also missing, and Samba printing is simply disappointing. The rest worked fine, the system was robust, there's good evidence of polish and improvements, but then it lacks pride and color. I would say 8/10, but that's not enough to win people's hearts. We've all been there, every six months, so something new is needed. Maybe Plasma 5? Aha! Stay tuned.